If you own a Nissan Altima 2013-2016 model, you may have noticed some bad vibrations coming from under the hood. Consumers have complained about problems in the Altima’s Continuously Variable Transmission (CVT), where the car will shudder and jerk, especially at low speeds. Unlike conventional manual or automatic transmission, CVT does not involving shifting gears when changing speeds. 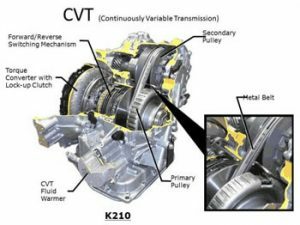 CVT vehicles have been touted for improved gas mileage compared to automatic and manual vehicles, as well as its smooth, gearless ride. But consumers have reported that the car gets loud when reaching highway speeds, and unreliably sputters at low speeds.